It's not just Microsoft that updates most of its important applications. 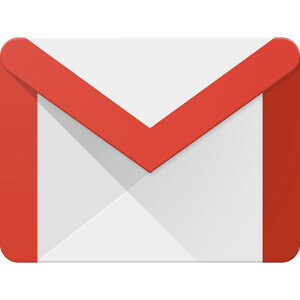 Google has just announced that one of the most popular email apps for both desktop and mobile devices, Gmail has been updated with numerous improvements. The most obvious is the change in formatting, which should now makes more sense when we look at the emails received via Gmail app. Since many emails were still formatted for desktop screens, reading them on mobile can sometimes prove difficult. The good news is the latest version of Gmail will support emails created with much more responsive design, so the content in these emails will adapt to fit screens of all sizes, including phone displays. Also, Google mentioned that text, links, as well as buttons will enlarge to make the reading experience and tapping much easier on a smaller screen. But those who read their emails on desktop will notice some improvements too, since emails designed for mobile can also adapt to fit larger screens. For those of you who are email designers, here is a more in-depth explanation about the new version of Gmail coming to mobile and desktops soon. Google announced that users will be able to take advantage of the CSS media queries with Gmail to ensure that their message is formatted exactly as they wish, regardless of whether they will be read on a desktop, a phone in portrait mode, or a table in landscape mode. Furthermore, Google has added some customization options such the ability to change styles based on width, rotation, and resolution, which should provide users with more responsive formatting to optimize emails for every device. The new Gmail update should be rolled out in wave in the next couple of week, but everyone should be able to use the new features by the end of the month. Gmail is pretty much perfect but it doesn't sync fast enough, even when I refresh manually. I get emails and it tells me it was sent 5 minutes or more ago. Inbox is good except for the fact that it is missing many of the features that are in Gmail. It amazes me that Inbox has been out for as long as it has and you cannot create and use email groups.